Artificial intelligence and robotics stocks are performing better than many other investments on the stock market, according to a report on CNBC. The website says robotics and AI stocks are “crushing” the old economy and is up by 30 per cent compared with under 10 per cent for other stocks. 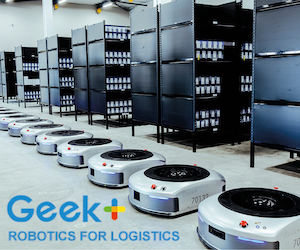 An industrial technology integrator called Universal Logic says it has receieved a large order for 60 of its specially designed robotic work cells. 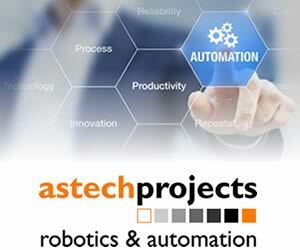 The company has developed a software-intense work cell which it calls Neocortex, aimed at supply chains and logistics operations which require automated material handling systems for high-mix, high volume applications. The chief executive of telecommunications giant SoftBank says the effects of artificial intelligence will take the world much further and have a more profound effect than even the industrial revolution. In an article accompanying a special edition of the CBS news magazine 60 Minutes, SoftBank CEO Masayoshi Son was quoted as saying the new “information revolution” is being partly driven by data collected through billions of sensors. SoftBank has been buying up a variety of AI and robotics startups, most recently a company called Nauto, which is developing systems for driverless cars. The demand for advanced driver assistance systems is surging, according to Bosch, which says it pocketed almost $4 billion last year from supplying the technology. The company is developing a range of hardware and software solutions for what it calls automated driving, and one of them is an onboard artificial intelligence-driven computer, which will go into production within the next few years. One of China’s largest online shopping companies has started to deliver goods to its customers using robots, according to a report in QZ.com. The four-wheeled autonomous vehicle (pictured above) is about the size of a washing machine and was developed by Jingdong, or JD.com as it’s also known in China. And although the robot was used for the first time earlier this week, JD’s chairman, Liu Qiangdong, says the company could completely roboticise its entire logistics process within a few years. The World Economic Forum, the global nonprofit foundation whose annual meeting in Davos is attended by global leaders from business and politics, has published a list of companies which it considers to be the most pioneering in the field of technology. In publishing its Technology Pioneers 2017 list, WEF has chosen 30 different companies to highlight from a variety of industries including biotechnology, agriculture, energy, transport, as well as a number of companies from the robotics and automation sector. Boeing is looking ahead to a brave new world where jetliners fly without pilots and aims to test some of the technology next year, the world’s biggest plane maker said in a briefing ahead of the Paris Airshow. The idea may seem far-fetched but with self-flying drones available for less than $1,000, “the basic building blocks of the technology clearly are available”, said Mike Sinnett, Boeing’s vice president of product development. The Internet of Things and data analytics are transforming the manufacturing space, and data is the new currency. Currently, human intervention is needed for logical and reasonable decision making. However, with the rise of cognitive technologies, machines will be empowered to detect constantly changing manufacturing scenarios and respond in real time with minimum human intervention.